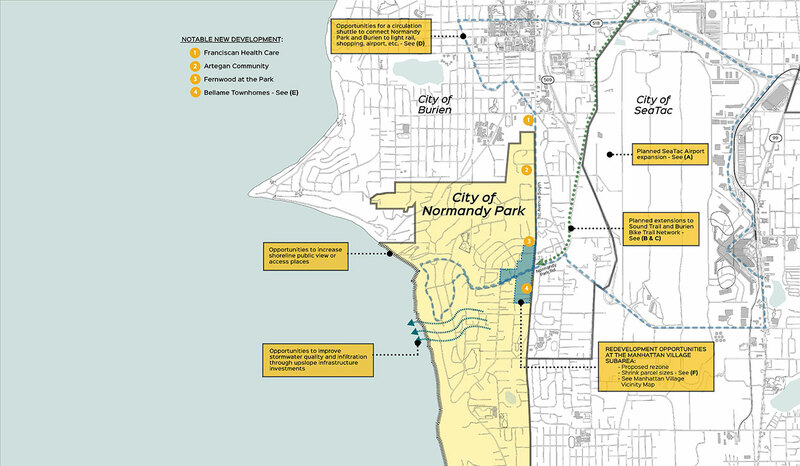 With hopes of encouraging new development of its underutilized commercial district, Normandy Park recently completed a subarea plan and rezone process for the Manhattan Village district. However, development interest has been slow. 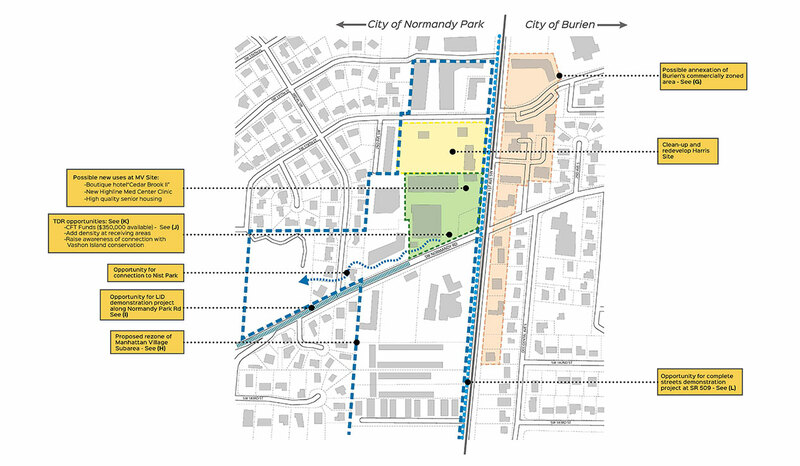 Allied8 was asked by current and former city leaders to design an Opportunity Map highlighting the many public and private investments in the surrounding jurisdictions, and suggest ways to use these existing investments as catalysts for Manhattan Village. For the first time, cross jurisdictional projects and future “wish list” items were shown together in one place. The Opportunity Map is a tool for community visioning, communication, and coordination.